Henry Cavill’s Superman ushered in the DC Extended Universe back in 2013 with Man of Steel, and he’s returning to the big screen later this month in Batman v Superman: Dawn of Justice. Following that, his next scheduled appearance is in Justice League: Part One, but as we know, Wonder Woman is arriving five months before the DC heroes officially join forces for the first time. There’s been no word on whether Superman might cameo in the Amazon’s solo movie, but it can’t be discounted entirely. In ‘Wonder Woman,’ I haven’t heard anything yet, but watch that space. And in anything else, I don’t know just yet if anything else gets shot between. Wonder Woman has been shooting in London for almost four months, and still has a fair amount left to finish. Since most of the movie takes place in 1918 during World War I, the only way Superman could appear is in one of the present day "bookends" that were revealed yesterday during EW’s massive DC movies coverage. Since these scenes take place after Batman v Superman: Dawn of Justice, it wouldn’t be unusual seeing the two interacting, and that could be another way to set up Justice League: Part One that fall. Plus, let’s be honest: a Superman cameo in one of his fellow Justice Leaguers’ movies makes way more sense than appearing in the supervillain-filled Suicide Squad. However, beyond just how Superman would fit into the Wonder Woman story, it’s also a question of whether an appearance would fit into Cavill’s schedule. The actor’s next project, the war drama Sand Castle, also began filming in November, but even if he’s finished his work on that, he’s now making the press rounds for Batman v Superman: Dawn of Justice. So Cavill may not have time to head out to London or the next two stops on the Wonder Woman shooting schedule, France and Italy, in time. 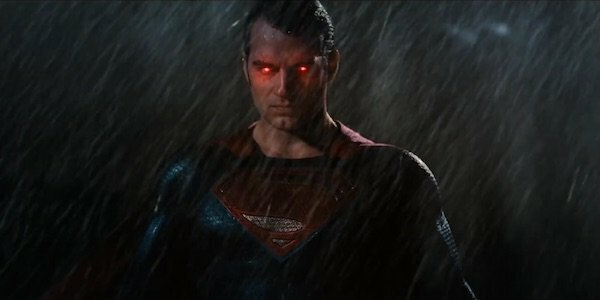 Since Warner Bros would like would to keep a Superman cameo a secret for as long as possible, it may be a while until we get confirmation one way or the other. Superman isn’t the only hero that’s been speculated to appear in Wonder Woman. Last November, it was rumored that Batman would show up, specifically by watching her save civilians from Ares and then chatting with her afterwards. Since the majority of Wonder Woman takes place nearly 100 years ago, moviegoers won’t have to worry about Diana of Themyscira being overshadowed, but much like how the Marvel movies have included occasional hero cameos in another hero’s movie (Bruce Banner in Iron Man 3, as an example) it wouldn’t be weird for DC to take a similar approach.